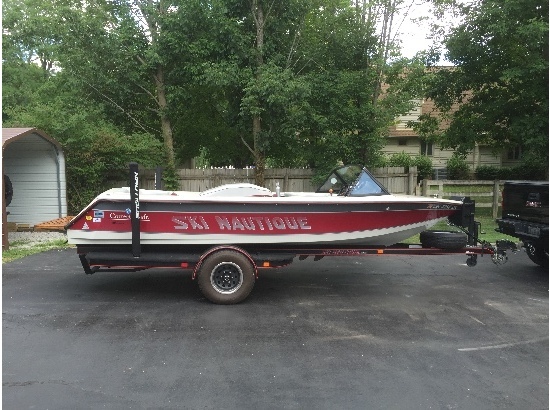 1998 Correct Craft Ski Nautique Great Ski Boat. Well maintained. GT 40 5.8 L 310 HP PCM. INCLUDES COVER, PRFECTPASS AND NEWER 2012 TRAILER. 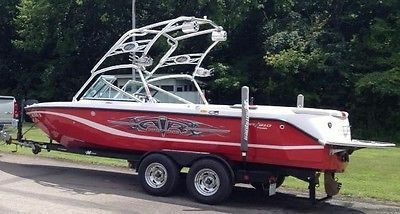 1992 Correct Craft Ski Nautique 196 Competition Ski Boat with Perfect Pass. Ford PCM 5.8 Liter Engine, 240HP, Low hours - 593, Newer 2007 Ramlin Single Axle Trailer with disc brakes, spare tire and folding swivel tongue for easier storage in standard size garage, Custom Mooring Cover, Clean looks. Great running condition. 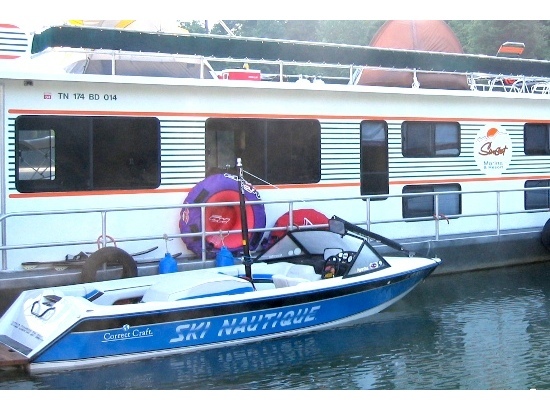 This Correct Craft all-purpose hull design was the same for all Ski Nautiques between 1992 and 1996. When Correct Craft came out with their new 1997 hull design I chose not to upgrade because I wanted an all-round boat. 1997 and newer Ski Nautiques are more of a dedicated slalom boat. 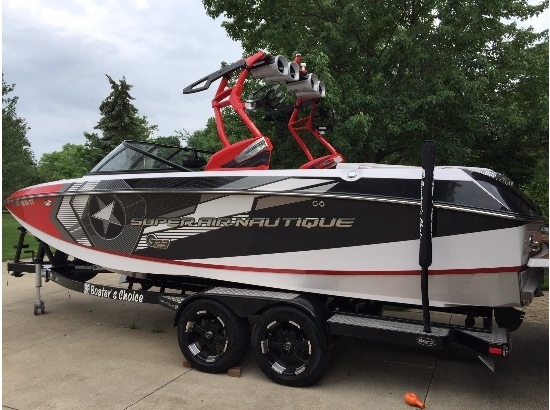 Many consider the 1992-96 model hull design the best all-round Ski Nautique. And with the sloped rear transom, this continues to be a modern looking boat.Over $2,500 spent on options:Perfect Pass automatic speed control for slalom & wake boarding.Heater with extension tube.OJ 4 Blade Brass Propeller for improved torque & speed control.Electronic Depth Gauge to help safeguard propeller. Engine sound insulation cover.Floor mounted ski rack.Stand alone Fat Sack & Pump for wake boarding.Windshield mounted convex rear view mirror to help view skiers.Treated with care and wiped down after every use.8 ft. extended wakeboard pole and barefoot boom sold separately at half price.Ask for Jeff at 614-231-9585 or 614-259-7351. $13,250 asking price. 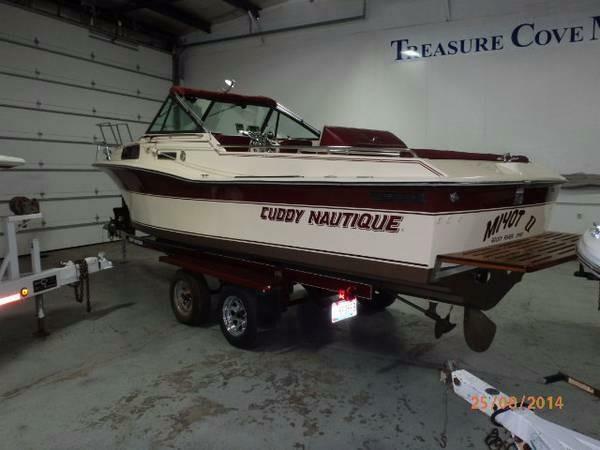 1986 Correct Craft Cuddy Nautique THIS IS A VERY RARE 1 OWNER BOAT! ORIGINALLY DESIGNED FOR FLA. SHERIFFS DEPT. 454 330 H.P. INBOARD, ALWAYS HEATED STORED, VERY METICULOUSLY MAINTAINED CAMPER TOP, PORT O POTTI, UDATED ENGINE IGNITION SYSTEM, 625 HOURS, SNAP IN CARPET, VC BARRIER COAT BOTTOM PAINT, SNAP IN CARPET AND MORE! 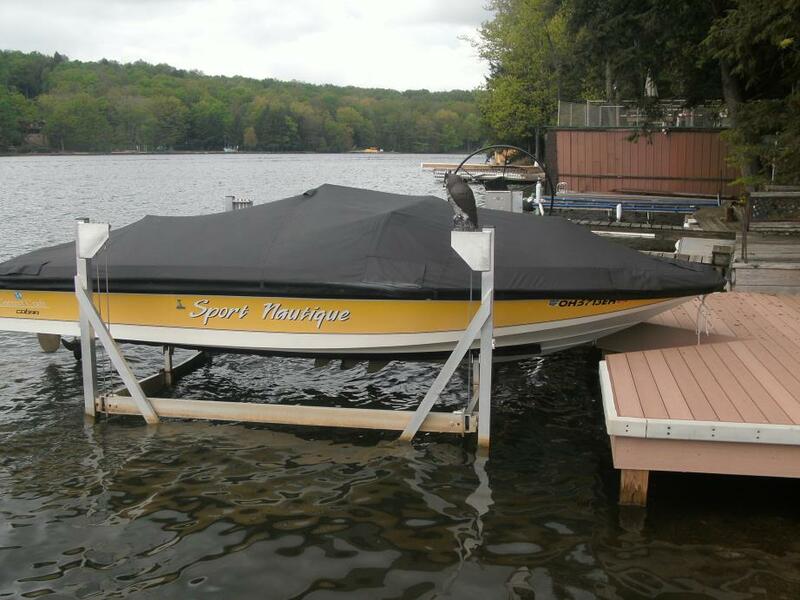 HERES YOU CHANCE TO OWN A VERY RARE SUPER CLEAN BOAT! NO DISAPPOINTMENTS WITH THIS ONE! 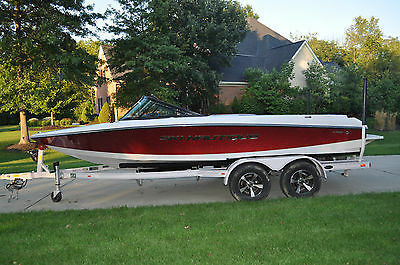 Length length with platform 22' 8"
2013 Closed-bow Ski Nautique 200 Beautiful red metal flake with very low 195 hours. Includes Zero-off GPS tournament speed control system, 343 HP PCM engine, hydro-gate, keyless entry, depth finder, cover, and Boatmate double axle trailer. Fresh water use only, maintained regularly, and in awesome condition.